Trade with stoploss traders discipline ..learn trading and analysis with us . It is online …stay at home or at your office and learn in breaks . Nifty Hourly chart is clearly indicating that nifty is moving down but macd and RSI are not supporting fall ,in fact divergence is there so we are looking for upswing ..
bank nifty buy on dips with stoploss of 50 to 60 points for upside targets 11000 11500 in 30 days . Slowing growth, falling rupee, high current account deficit (CAD) and widening gap between wholesale and retail inflation are among factors expected to make sure the Reserve Bank of India (RBI) keeps the policy rate unchanged at its first quarter monetary policy review on Tuesday. The policy, though, could throw some light on how long the central bank expects these conditions to persist. The RBI had maintained status quo in the mid-quarter monetary policy review on June 17. Asian markets are trading in red zone between 1 to 2 % down and we are also in confusing state so nifty may trade with weakness till release of RBI policy tomorrow . Though nifty hourly chart is indicating convergence of macd signal lines , histogram and RSI is stable below 40 are indicating for a sharp pull back rally may start at any moment. Trade according to trend …stock specific moves may be there .Nifty futures may trade in 5880 5950 range …and maximum time will it may stay between 5900 5930 ..as per current mood of market participants. Nifty is trading in TAZ .Steep fall brought nifty at 38.2 % retracement level and below 20 and 50 DMA . trading above 200 DMA which is at 5852 as per daily chart .kashmakash may be there till nifty will stay in TAZ between 5852 and 5929 as 5929 is 20 DMA. decisive move will be there after either side break .if 5850 will break with volumes nifty may get possible support at 5750 . On the chart above you can also see the traders action zone which is the area in between the 50 DMA and 200 DMA. This is where you, as a swing trader look for reversals back to the upside when going long and reversals to the downside when shorting Nifty . What is so special about this zone? 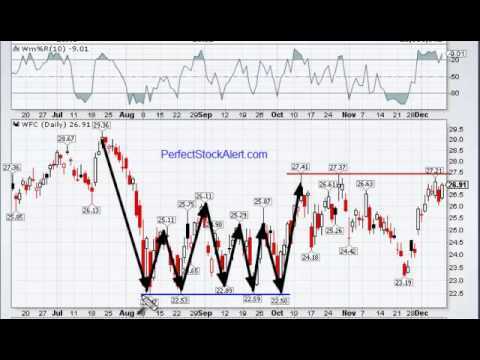 I have found that for swing trading, a lot of reversals happen in this area. So in order to create a focus in your trading strategy, it is helpful to narrow down your potential stock setups to one area on a chart. This zone provides a plethora of setups on a daily basis. We are not really concerned with the moving averages themselves. When a stock pulls back into this zone, look to the left to identify support and resistance, trend lines, candlestick patterns, etc. You are looking for multiple signals all pointing in the same direction. Will this strategy make me a profitable trader? You may be surprised by my answer. The answer is no. There isn’t ANY trading strategy that will make you a consistently profitable trader. Sorry to disappoint you. The only thing that will enable you to consistently pull money out of the markets is YOU. YOU must have discipline. YOU must be able to take losses. YOU must be able to take your profits. YOU must eliminate fear. Put simply, you must be able to control the emotional and psychological problems that prevent success. That will be your biggest challenge in learning how to trade stocks with any strategy. Mail your contact details to kailash123p@yahoo.co.in or call at +919451659275 to get chat room gateway …!!! Last week it was shared that “ it is predicted that nifty may trade in range of 5950 to 6175 in coming week with volatility …If no major negative news will not be there…as news rules over technical indicators.” http://dhanvarsha.in/nifty-macro-micro-analysis-week-ending-26-july-13/ and nifty traded between 6094 -5870 before closing at 5886 well above 50 wma 20 wma and fib support level .To learn about fib watch hindi video ..
Nifty will be weak only below 5800 as per weekly chart ..above it stay long and buy on dips book profit later . nifty futures gained 24 points have u gained 12 from it ? Nifty traded at 5974 after buy call at 5950 …24 Nifty points if na book karo then who will give u gains ? [×] [o] Admin: hope u are enjoying nifty …………..trading up 22 points from 5950 to 5972 …kon dega aisa gain ??? It is Friday and we may see panic today but who will be in pain bulls or bears ??? try to find out the answer and share your views at Dhanvarsha chatroom …. an open plat form for genuine traders /professionals and analysts… placed at following links ..
Do not take panga with market and save your capital and trade also . I have learnt from above unpleasant episode that do not take panga with market …do not trade without stoploss and every thing is possible on expiry day . Negative to gap down opening is expected with extremely volatile session ahead.Stocks specific moves will be there market will move fast today, range may be slightly wide. 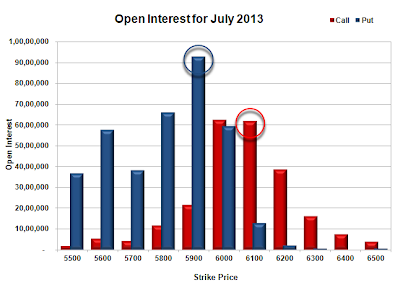 Trade in Aug Nifty futures on Expiry day as per levels .. Negative to gap down opening with possibility of more pressure on market due to negative impact on bank nifty by RBI action . 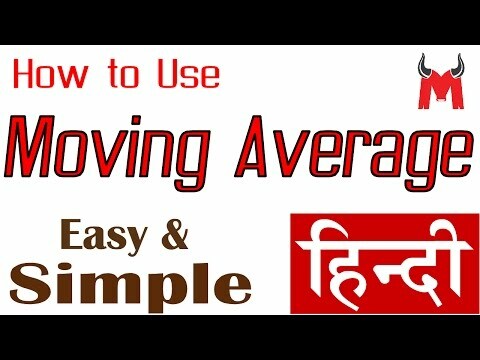 SGX nifty is trading well below 45 points see here http://dhanvarshagroup.blogspot.in/. [×] [o] Admin: “The follow up measures taken today clearly indicate that there is a firm resolve to tackle any speculative activity in the forex market. It also shows that RBI is willing to sacrifice everything including growth to manage the currency. These measures will put upward pressure on deposit rates and also push up bond yields” said Ashish Vaidya, head of fixed income currency and commodities as UBS. Outlook of yesterday’s eod nifty chart , last candle is indicating that consolidation was there, closed slightly positive after gap down opening..turned rsi direction to North East indicating that bulls are still in strength .3 out of 5 indicators are red that’s why nifty / bulls were struggling last day . Do u want to predict like this ? or want to earn on maximum of your trades ? For weekly outlook /move of Nifty read at http://dhanvarsha.in/nifty-macro-micro-analysis-week-ending-26-july-13/ . Last week what ever posted about market here …marked traded like that only . Daily eod chart is showing that nifty is trading in center of of horizontal and up slanting channels with bullish momentum ..last candle ended making spinning top and RSI pointing to South east indicating that traders booked profits also and now dilemma is there but bollinger has given space to up move so looking up only towards 6160..
nifty hourly chart is showing that 5990 is strong support if broken than 5900 and up side resistance is around 6100 5150 ..
for distant online learning at your comfortable timings and earning thru trades Join Dhanvarsha . Seeing all this it is predicted that nifty may trade in range of 5950 to 6175 in coming week with volatility …If no major negative news will not be there…as news rules over technical indicators. [×] [o] shama: i know to upload at ................. shall i give that link here? [×] [o] shama: in this blogspot how to do? [×] [o] shama: gmail or yahoo? [×] [o] shama: is it came? [×] [o] shama: that is one cup formation in reliance and if it complete means it should touch 955 and then will decide to slide or break and go up..
[×] [o] shama: why sir half chart only coming? 24×7 …chat room will be open to post positive messages which you want to share with other market lovers . Dhanvarsha is a name of trust and reliability and helping small traders and investors trying to educate them and we feel that any one may opt trading as profession …every trader /analyst has his own style /trading and analysis which work for them . If they feel and want to share their style , knowledge , trading secrets here dhanvarsha is willing to provide platform and compensation also .Dhanvarsha is having more than 5200 page views per day as per website outlook and among one of India’s most popular websites. All readers may share there ideas calls tips at chat room provided they are technically sound . If you are having knowledge of charting may share / upload your charts and articles at http://dhanvarshagrp.blogspot.in/ and share your articles at chatroom . What ever is in your mind you can share at Dhanvarsha chat room provided it is useful for others . Dhanvarsha will pay Rs 1500, 1000, 500 in first week after each months expiry to best 3 contributors , depending on their full months active participation and support / guidance to all new/ old traders . All of you may share educational information at chat room which you are getting from any of your source . if you are having your own website/ blog you may place this chat room at your own blog. you can share Nifty view , levels , options strategies , commodity calls . delivery calls , technical terms and explanation , reply to the queries which are placed at chat room and lot more which is in your mind. Moody’s Investor Services has said in its outlook that the rupee’s depreciation will heighten inflationary and fiscal pressures, factors that constrain India’s sovereign rating. But it said the depreciation will not materially increase the country’s debt repayment burden as foreign currency denominated debt is about 6% of total government debt ..
Flat opening is expected with extremely volatile session ahead expected nifty intraday range between 5980 -6060 …trade according to trend ..
Bottom fishing in hul pe and bank nifty and result 5 k &10k intra gains per lot on calls . 500×10= 5000 INR on invested amount of Rs 10 k per lot . break in momentum …supply is here …perhaps profit booking may emerge here ..
Gap up opening is expected with volatile session ahead …nifty is trading in channels … both channels are supporting bulls ..bank nifty shown sharp decline with huge volumes is indicating that it is abnormal and we are sure that it is selling climax and if it is true then more than 1000 points up move within 30 to 40 days can not be ruled out ..we are looking for opportunity to go long on banking sector because it is extremely oversold and at 6000 level of nifty bank nifty must trade around 12500 13000 ..have a look at bank nifty eod chart trading making perfect double bottom at bottom bollinger and at long term trend line …look up trend line support is there …wont crash much … no emotions ..technical indication is here ..
Do not risk your capital / hard earned money on your gut feelings …you can save millions by paying a token fee to Dhanvarsha experts / contact admin if you want to join hands with us. Nifty EOD chart is showing up slanting channel moving towards 6250 and above and horizontal one …limiting at 6100…both are true till today and there is no room left for bears …bears may dominate only if nifty will slip and will trade below 5900..till then buy on dips and pocket your gains when market shows weakness / consolidate at higher levels . Trade according to trend and with proper stoploss management .For chat room calls …analyse your self …plan your self and when scrip reaches at /near target 1 book 100 % or partial gains and modify your stop loss to /near entry level for safe play . Trading is easy or difficult ? 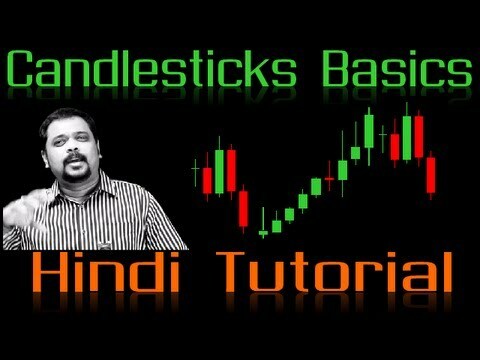 we can say quite simple even a child who can play video games can trade easily because placing buy ,sell and stoploss orders is too simple but what is complicated in trading …that is emotions risk , reward , fear of loss , joy of winning trades …on same calls i m getting different results every day .. some one not traded his/ her return was zero. other one trade half way able to score 103 Nifty points but JD was in full josh and gained 150 Nifty points within 24 hours of trade with boost of 75000/- in his capital. [×] [o] JD: just 24 hours……gain in nifty of more than 150 points..
Flat to positive opening is expected with possibility of range bound trading within 5960 to 6020 ..buy on dips and book gains later will be best strategy for todays intra trades …profit booking at higher levels may not be seen as short build up was there on last sessions move …if nifty will sustain above 6010 for whole day then short covering after 3 PM may be there . GRASIM : DAILY CHART VIEW ! NIFTY view for coming sessions. Nifty is trading in 15 points range 5890-5875 ..